Want a recipe to impress this Mother’s day? 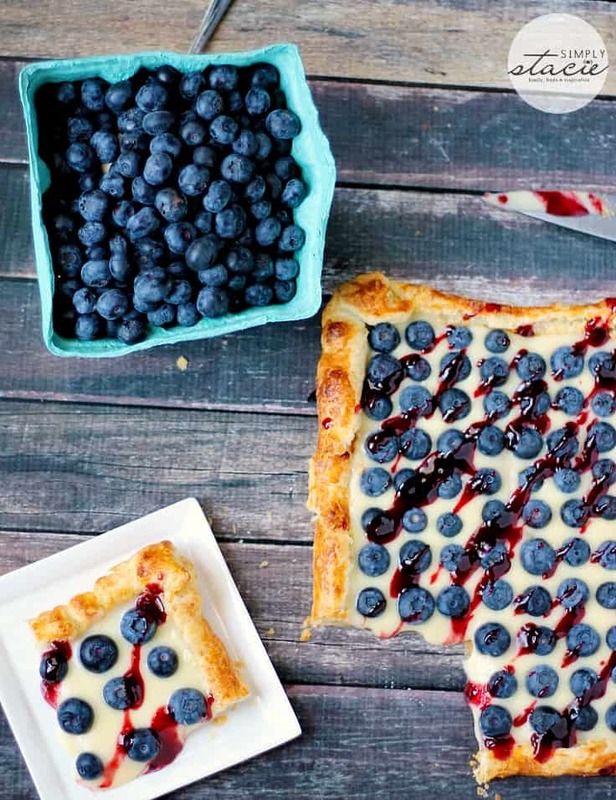 Try this Rustic Blueberry Lemon Tart. It’s absolutely divine! 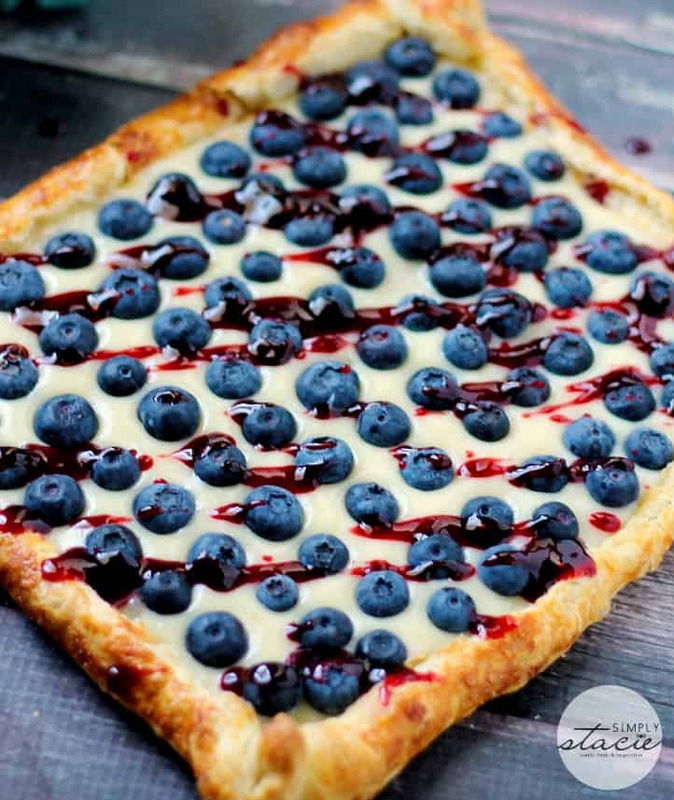 With a flaky crust, creamy lemon filling and topped with fresh blueberries and preserves, just thinking about this luscious dessert makes me drool! Fresh blueberries are plentiful in the summer and we often go pick our own at the local blueberry farm. I’m always on the lookout for ways to use up our day’s work! This recipe is a keeper for blueberry lovers. Soooooo good! 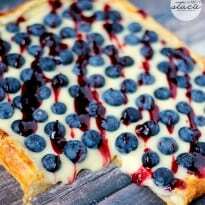 Do you have any special blueberry recipes? You might also like this Blueberry Tea Cake. 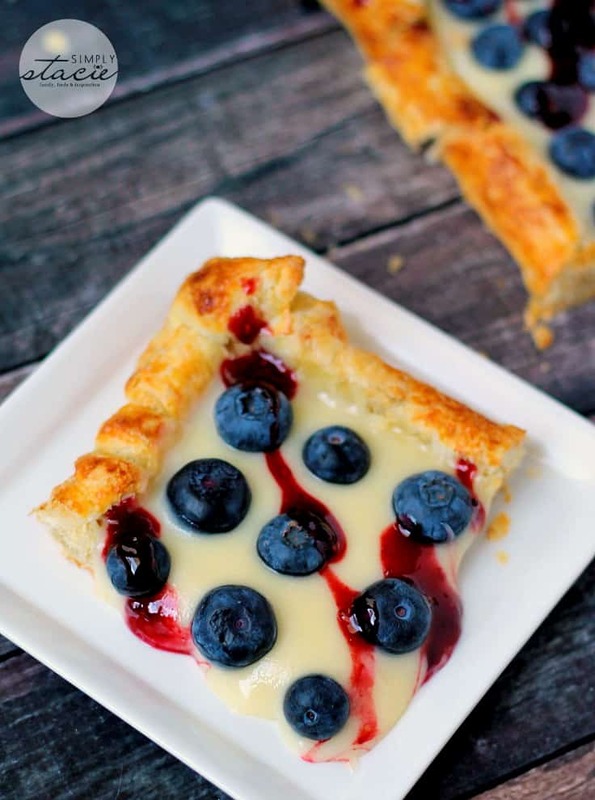 Divine recipe for Rustic Blueberry Lemon Tart made with fresh blueberries, puff pastry and lemon curd! On a floured baking sheet, place puff pastry dough and roll out a bit. Roll over each of the 4 sides, twice, to create a side on the puff pastry. Using a fork, poke holes throughout the bottom of the pastry sheet. Using beaten egg, brush lightly over the entire pastry sheet. Place into oven and bake for 15-18 minutes. Remove and set aside (if pastry puffs up, use a spatula to press down), and allow to cool at least 30 minutes. While baking puff pastry, in a medium bowl, combine cream cheese and 1⁄4 cup sugar. Mix with a fork or electric mixer until combined and no lumps. Add heavy cream; mix until combined. Add lemon curd, mix until combined. Set aside. On your cooled pastry, pour cream cheese mixture and spread evenly on bottom. Evenly spread blueberries on top of cream cheese mixture. In a small bowl, heat 1⁄4 cup preserves for 30 seconds in the microwave; mix. Heat another 30 seconds, mix again. 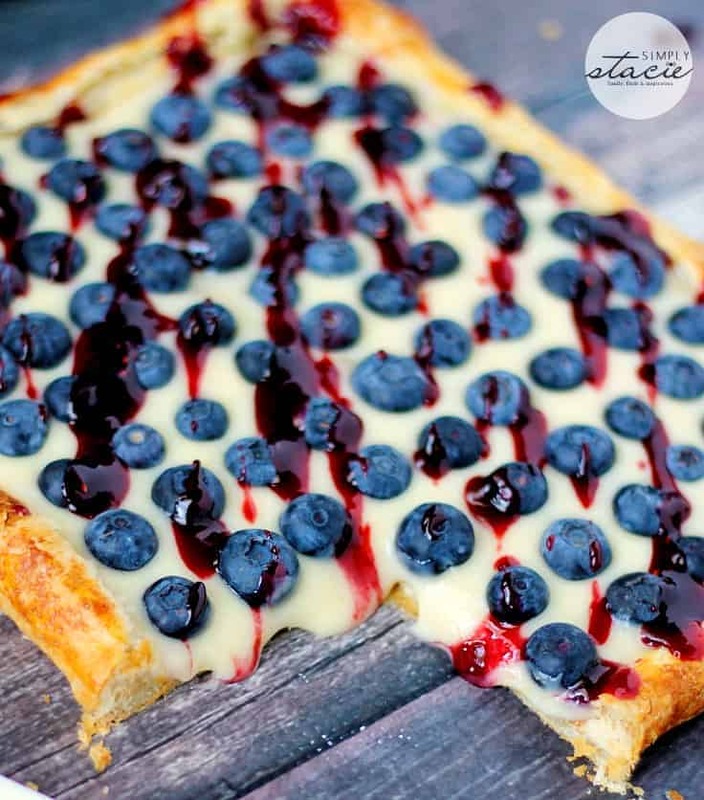 Using a spoon, drizzle the preserves over the top of the blueberry tart. Cut with a sharp knife or pizza cutter, serve immediately. This can be served slightly warmed, or chilled. If you chill in the fridge for about an hour before serving, the curd mixture will be more ‘set’ whereas if you serve without chilling, it will be more gooey. Both ways are delicious. How pretty! I am definitely going to have to pin this one to try out! Thanks for the recipe! This sounds sooooo delicious. It reminds me of a much classier pop-tart, with the filling on the outside! Now I wish I had blueberries in my garden. I absolutely love blueberry and lemon together!!!! This will surely be a hit at our office coffee hours!!! Oh yum! This looks delicious! Very simple with the puff pastry as the base as well! OMG this looks sooooo good, blueberries and lemon can’t go wrong with that, all your recipes make me hungry..lol..they all look so good!! Yum,this looks delicious, I cannot wait to give it a try. I’d love to try it with strawberries instead of blueberries. I don’t have any blueberry recipes to share. Thank you for sharing this recipe. Thanks for sharing this recipe! Love blueberries , will be making this for the family! Lemons and blueberries look so divine together and will definitely be luscious to eat.Thank you for this awesome recipe.It will be a treat to try this. This looks so delicious – thank you for the recipe! It look delicious! I had never thought of mixing lemon and blueberries. What a marvelous dessert! I love lemon curd and blueberries! Looks so yummy! Can’t wait to make it! Not only does that look delicious, your photography is amazing! This looks amazing!! Thank you for sharing this recipe! Pinned! Please come share this and link up with me at http://www.wrightsimply.com/2015/05/wordless-wednesday-linky-giveaway.html because I know others wlll love it, too! This is cool. It will be great for the July 4th. This recipe is perfect for Mother’s Day, it’s almost too pretty to eat! 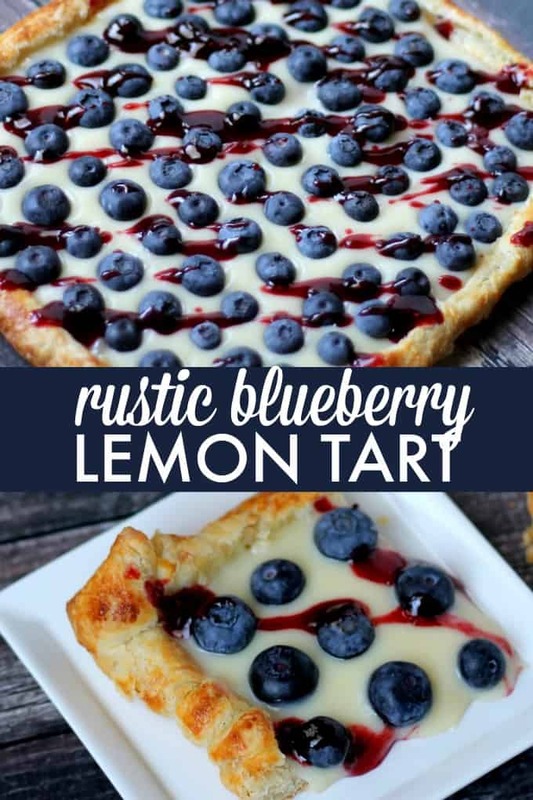 A beautiful presentation for your Rustic Blueberry Lemon Tart, it looks delicious. Have a wonderful Mothers Day weekend and thanks so much for sharing with Full Plate Thursday! This is absolutely amazing! Makes me want to go out the store and buy all the ingredients, right now! Love blueberries/lemon combination, and your photography is stunning! Would love for you to link up and share at http://cherishingasweetlife.blogspot.com/2015/05/oh-my-heartsie-girl-wordless-wednesday_12.html. I pin, tweet and share! What a great dessert for summer time! Thanks for linking up with me! I’m featuring you this week! 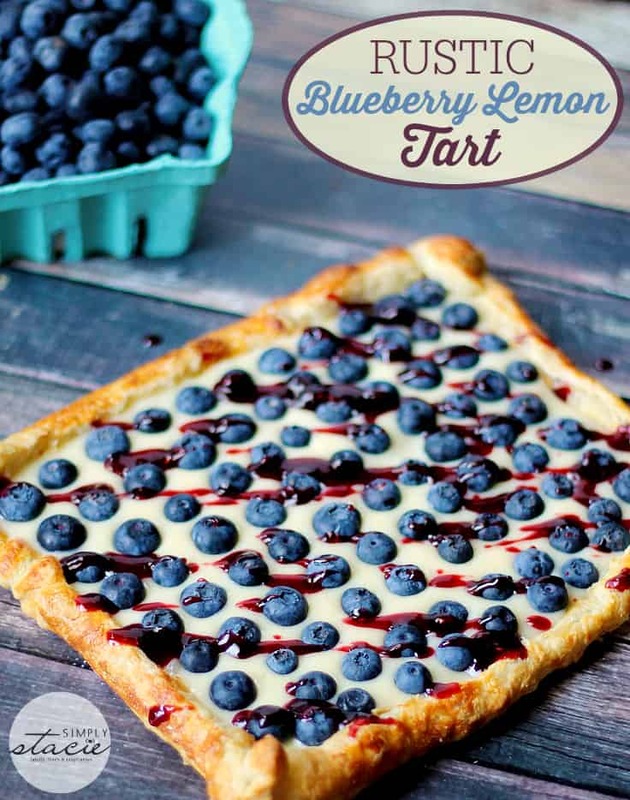 I can’t wait to make this it looks so good and we love lemon and blueberries together too. I’m positively drooling. That looks amazing!! Great summer dessert! Love this for a bbq! Looks great! has anyone made this recipe? I just wish people who have made this dessert would comment! I can see it looks delicious…but how does it taste?! This is not to get upset with the person who’s recipe it is you have no control over the comments.